Careerbuilder has made a name for itself with its ridiculous ads that feature chimps in the workplace. I was commissioned to create this mural, which stretches over two canvases and features a meeting (or perhaps job interview?) between an old senior-level chimp and a young rank-and-file chimp. The mural is nearly 7 feet wide and hangs proudly in their offices. 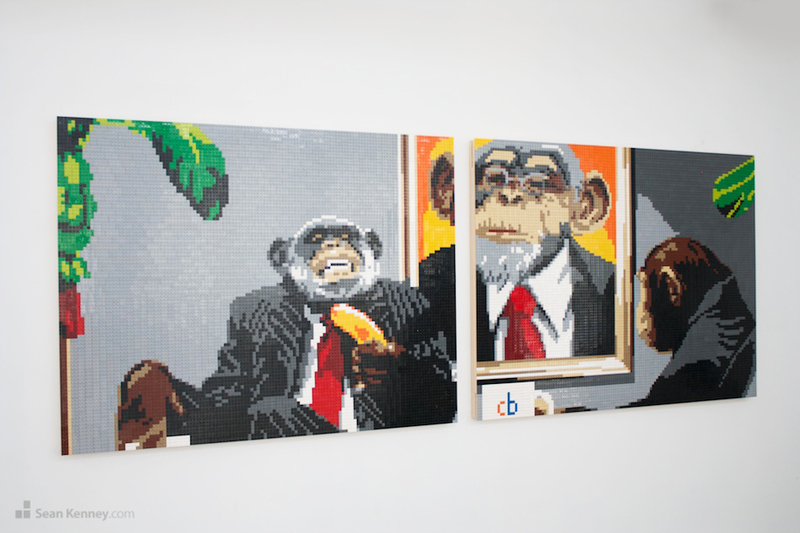 The mural contains 16,384 LEGO pieces and loves coffee and bananas.